It has almost been one month since my one year blogoversary so I'm ending my one month by doing one giveaway a day for 10 days. Good luck! I have yet to read the final book in this trilogy. So thanks for the chance to win a copy. Mindy-Congrats on your anniversary again! You've had such amazing books on your giveaways. 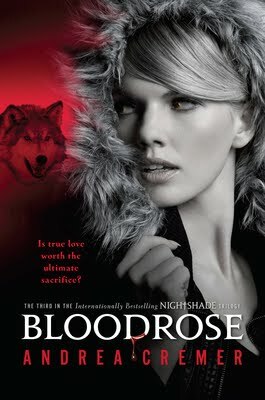 I really liked Bloodrose. I know it had mixed reviews, but I enjoyed it! Thanks for the great selections!